Shanghai Seffy Trading Co. Ltd was founded in 2004. Located in the northwest of Shanghai close to the famous Bund, Seffy specializes in growing, processing and marketing fresh & frozen vegetables, mushrooms and other agricultural products. Seffy's products, including broccoli, carrot, onion, capsicum, scallion, garlic, snow peas, sugar snap peas, and cabbage are well received in the markets of Japan, Korea, Singapore, India, the Middle East, South Africa and South America. In the meantime, Seffy is importing fresh fruits from the key producing areas in the world. Since 2006, Seffy has been practicing "migrating planting" by co-operating with farms in different latitude belts across China. 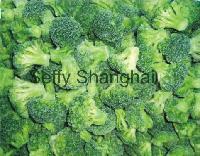 Seffy has invested in several farms and facilities in the provinces of Liaoning, Zhejiang and Fujian for broccoli planting and processing. Seffy also contracted with major farms for safe and stable supply of other products. 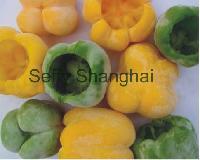 Seffy attaches great importance to the quality and freshness of its products. Agricultural experts are hired and stationed in local farms to closely monitor and guide the production process. With this practice since 2004, Seffy does know the special peculiarities of different farms. We have been integrating this knowledge into the production to meet the requirements and demands of our customers in different regional markets. Seffy is a young team with average age below 35. We are fully aware of the value of long-term business relationship. In addition to our commitment to marketing products only of the highest quality and safety, we work diligently to maintain the highest level of service. We are pleased to advise you on any questions concerning the features of our products. From our dedicated field experts to our highly trained customer support staff, our goal is simple-excel our customers' expectations.